CAA Brand Consulting has brought on Andy Sutherden as head of international. 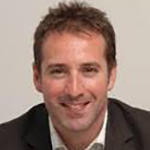 Sutherden joins CAA from H+K Strategies, where he served as global head of sport and partnership marketing, working on such initiatives as Thank You Mum, P&G’s corporate brand campaign at the 2012 Olympics. Before coming to H+K, Sutherden was director of sports marketing and partnership at Golin Harris. In his new post, he will report to CAA Global Head of Brand Consulting Greg Luckman. Luckman says that Sutherden’s “in-depth experience managing international teams” will be a major asset as CAA works to broaden its global service offerings. Brunswick Group has named Matt Levine a director in its New York office. 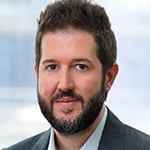 Levine comes to Brunswick from Bloomberg Television, where he was head of U.S. programming. In addition to directing the network’s editorial content, he led such broadcast initiatives as Bloomberg's 2016 election night coverage, and oversaw special programs and documentaries. Before coming to Bloomberg, Matt was a senior editor in charge of planning and enterprise at CNBC. Brunswick specializes in crisis leadership and corporate relations. 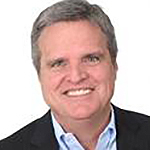 HKA Marketing Communications has hired Mike Kilroy as group director, technology. Kilroy was with HKA from 1997 to 2001 as vice president, client services. He returns to the agency from 10Fold Communications, where he was vice president. Kilroy’s previous posts include vice president at Global Results Communications and public relations manager at Bob Gold & Associates. Kilroy has led programs in such emerging tech sectors as AI/machine learning, IoT, cybersecurity, data analytics and smart vehicles. His hire comes as HKA focuses on building up its tech practice. The agency has also relaunched EmergingTechPR.com, a resource site that provides counsel to companies marketing cutting-edge technologies.